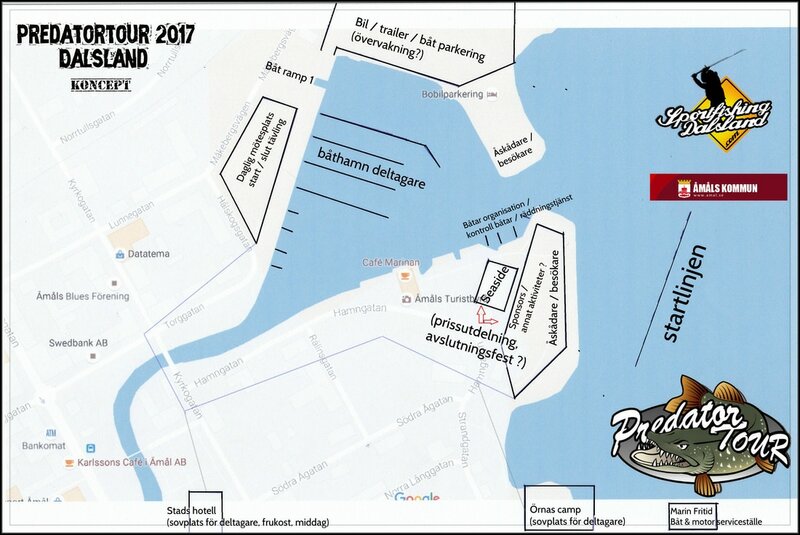 The predatortour 2018 in Sweden will be hosted in Åmål again, and the competion takes place on lake Vänern, along the Beautiful coastline between Säffle, Åmål and Tösse! ​- COMPETITION AREA : There will be no boundaries or limits for the track, except for area's that are forbidden by law or where licenses apply. Below you find some concept (*) information and maps of the water and the shore area. 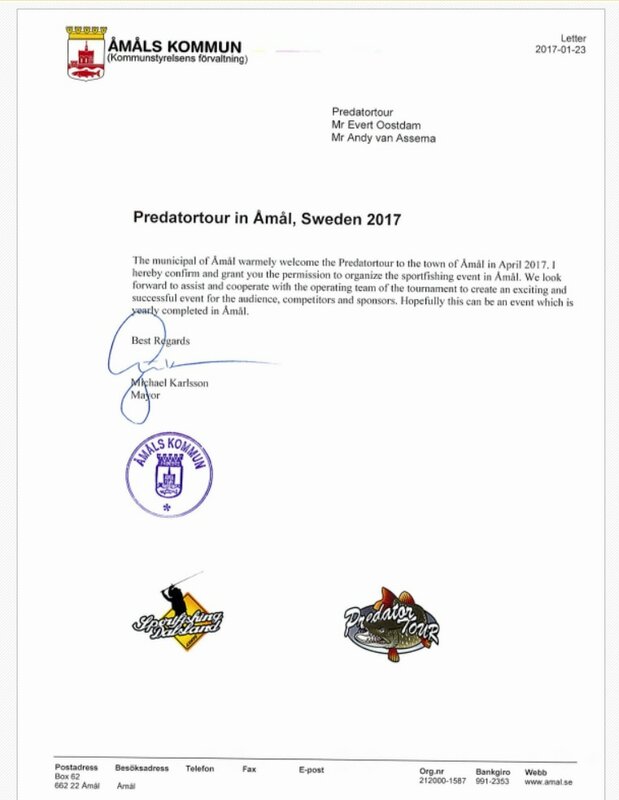 * Depending on the weather and circumstances (safety first), small changes may be made by the competion management and the Community of Åmål .